In the summer of 1995—when Scott moved from Montana to Paisley, Oregon, to take a job on the ZX Ranch—he loaded the box of his pickup with his bedroll and his gear, including his poly ropes. He found that poly ropes weren’t regularly used or readily available in that high desert region, and he had a hard time replacing them. Eventually Scott located a supplier and began offering ropes to fellow cowboys and local ranchers. In the fall of 1995, Scott met life-long cowboy and gear collector, George Moore, who had grown up in southern California and had a deep understanding of the vaquero way and the trappings that went with it. In his later years, George made his living traveling through the isolated rural cow country supplying the cowboys with high-quality traditional gear. George’s influence deepened Scott’s great appreciation of the difference between good gear and great gear and the fact that a working cowboy knows the difference and is willing to sacrifice to own it. It’s a point of pride. You look at a horseman’s gear and see the direct correlation between high quality gear and high quality horsemanship. Scott and Staci met at one of the famous Mosquito Festivals in 1998 and found they shared the same passion for the western way of life. After getting married in 1999, they realized they wanted to provide affordable traditional gear, so they expanded from only providing rope to becoming a source for makers to market their traditional cowboy wares. In order to do this, they loaded up the card table and the wares in the back of the pickup and started beating up and down the dusty roads to ranch rodeos, ropings, and other cowboy events. From that pickup box and a couple of shows a year, in a span of over two decades and with the encouragement of all their regular customers, Scott and Staci have been able to not only continue but also expand their inventory. 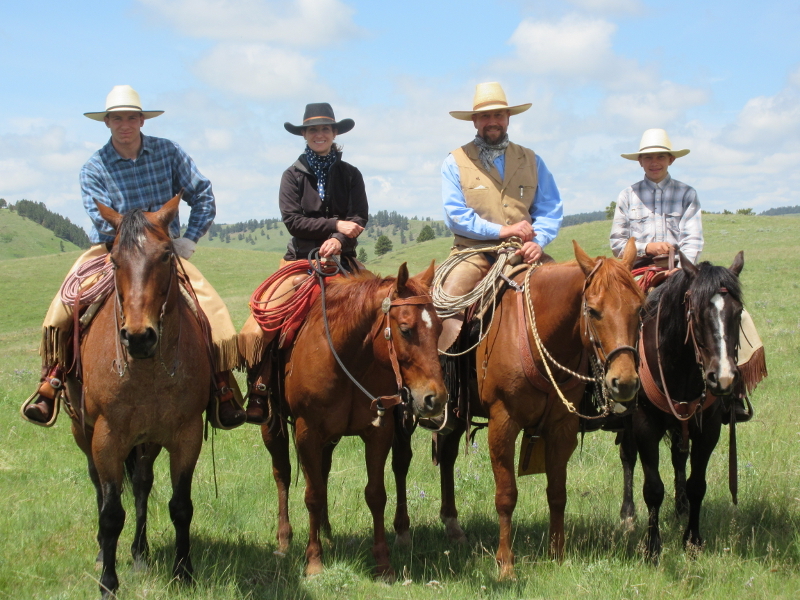 Buckaroo Businesses has become one of the largest makers and distributors of ranch ropes and quality, traditional gear in the U.S. and the world. We want you to understand that we realize we couldn’t have accomplished any of this without you, our friends and family, dealers and customers, so the next time you see us at a cowboy event, please stop by and introduce yourself. Our contacts and customers and the friendships we’ve made along the way are truly what makes us what we are.